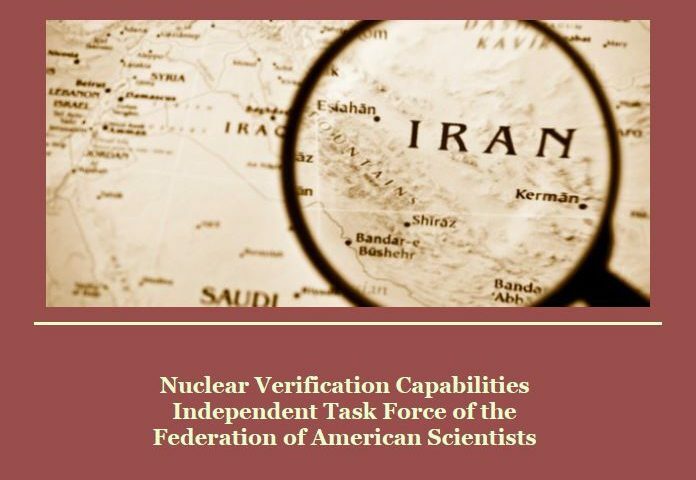 Negotiations are currently underway with Iran regarding their nuclear program; as a result, one of the main questions for U.S. government policymakers is what monitoring and verification measures and tools will be required by the United States, its allies, and the International Atomic Energy Agency (IAEA) to ensure Iran’s nuclear program remains peaceful. 1. The agreement should require Iran to provide, prior to the next phase of sanctions relief, a comprehensive declaration that is correct and complete concerning all aspects of its nuclear program both current and past. 2. The agreement should provide the IAEA, for the duration of the agreement, access without delay to all sites, equipment, persons and documents requested by the IAEA, as currently required by UN Security Council Resolution 1929. 3. The agreement should provide that any material acts of non-cooperation with inspectors are a violation of the agreement. 4. The agreement should provide for the establishment of a consultative commission, which should be designed and operate in ways to maximize its effectiveness in addressing disputes and, if possible, building a culture of compliance within Iran. 5. The agreement should provide that all Iranian acquisition of sensitive items for its post-agreement licit nuclear program, and all acquisition of sensitive items that could be used in a post-agreement illicit nuclear program, must take place through a designated transparent channel. 6. The agreement should include provisions designed to preclude Iran from outsourcing key parts of its nuclear weapons program to a foreign country such as North Korea. 1. The U.S. Government should enhance its relevant monitoring capabilities, invest resources in monitoring the Iran agreement, and structure its assessment and reporting of any Iranian noncompliance so as to maximize the chances that significant anomalies will come to the fore and not be overlooked or considered de minimis. 2. The U.S. Government and its allies should maintain the current sanctions regime architecture so that it can be ratcheted up incrementally in order to deter and respond commensurately to any Iranian non-compliance with the agreement. 3. The U.S. Government should establish a joint congressional/executive branch commission to monitor compliance with the agreement, similar to Congress having created the Commission on Security and Cooperation in Europe to monitor the implementation of the 1975 Helsinki Accords.